As I look back over this year I find it a bit hard to look at all the photos from the first half of the year as I miss my northern home and friends so much. I know in time Ontario will become my home and I haven’t given up hope that I’ll catch a glimpse of the aurora here soon. I also did not have time to work on my own quilts like in past years so my ‘Year in Review’ of the quilts I made is quite short. 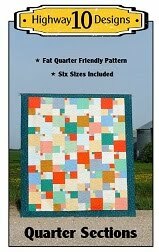 But I did manage to quilt 80 quilts for clients and that is only 10 less then in past years, so I’m very pleased with that. Here are the quilting projects I finished in 2017. I pieced and quilted this Chic Picnic for my friend Wendy’s quilt shop, I think it still hangs in the entry way! I made a sample of my Four Patch Charm quilt using Shimmer fabrics. 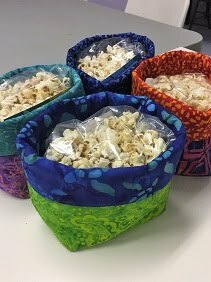 I have the free PDF pattern on my sidebar for quick download if you would like to make it. 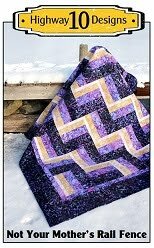 I have really enjoyed seeing all the quilts made with my pattern over the last couple of years. If you have made one I would love for you to email me a photo. If I get a few I would share them on my blog! Purple batik Quarter Section quilt. Poolside Tote which was my first project completed at the new house. My son Daniel’s Pedal to the Metal quilt which was his late graduation gift. Made the Oversized Hopscotch using flannel fabrics for a couch quilt. 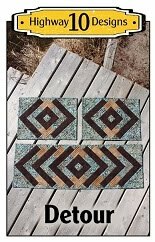 I made a couple of sets of Detour placemats and table runners. I also made two Iron Caddy’s this month that I have not shared on the blog yet. One is for my regular iron and the mini for my travel iron. Great for taking to retreats and sewing days as the caddy can be used as an ironing surface so I don’t have to haul my ironing board all the time. 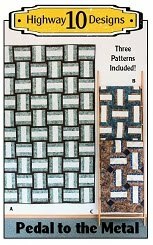 Pattern is called Caddy Pad and Caddy Pad Mini by Sisters Common Thread. I was hoping to quilt a few of my quilt tops over the holidays but a nasty Christmas cold had other plans for me! We have had some bone chilling weather this week, waking up to –40’c a few mornings, so that also kept me curled up on the couch under a few quilts! Selling, moving, installing and updating, that is enough to do in a year. Those lights, I hope you get to see some in Emo, make friends, and become more settled into your new home and area. Many Happy New Year Greetings from down in NZ. 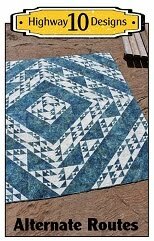 I miss seeing the Northern Lights in your blog too, but I always enjoy seeing your beautiful quilting! You always do a spectacular job on each quilt! ---Love"
Loved seeing your review. Very excited to hear about your visitor...her work is beautiful. Happy New Year to you and your family too. It was lovely seeing the aurora and the quilts on the iced over lake. I can understand your homesickness - it was beautiful. But Emo looks just as lovely in a different way. I gather from my cuz in Toronto that they are having very cold conditions - she says normal in Regina, but not for Toronto! Here we had a minus 2 the other day but no wind or rain, just a cold but beautiful day. Since then it's been wet and windy and very mild currently 8 degrees - and the moon is out! But I digress - there's an awful lot more things that need doing when you move house - it takes quite a while to settle and organise new places for everything. We will be doing that next year. So understandable that quilting is put on the back burner for a while apart from client quilts - that is a priority! Hoping you get a much more calm and productive 2018. Most importantly have fun! I just found your blog this past year and I've so enjoyed it! I'm looking forward to seeing the new scenery and all the treasures from your neck of the woods in 2018. Cheers! 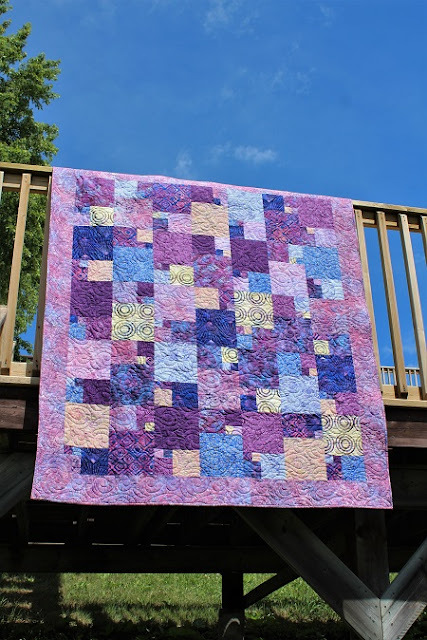 A BIG year for you and you still did some fabulous quilting! Best wishes for 2018 from me in New Zealand. Happy new year, from the Netherlands.